Time for a review! YAY! First: Thank you Canada for giving me Lucifer always a day earlier! Second: I am actually writing this post on Monday afternoon but I'll set it up so that it could post tomorrow, just in case! 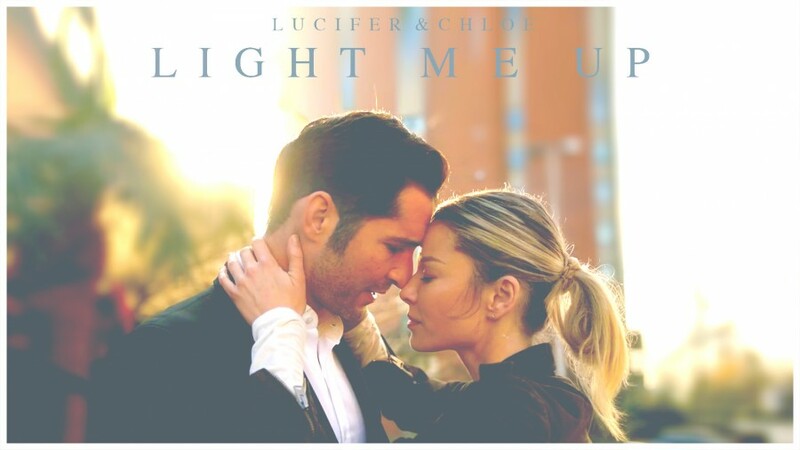 Third: how many Lucifer fans are here? Because I need someone to fangirling with LOL! A Mazikeen centric episode FINALLY! I so needed this! This episode was a filler compared to the season premiere and the second episode, but it was a good one... I am glad we finally have Maze back! I hope she'll stick around. I really enjoyed Mr. & Mrs. Mazikeen Smith , even if I tend not to be a fan of these sort of standalone episodes that give so little to the main storyline, but I really enjoy all the characters of this show so it was easy to take it for what it was and appreciate it. Maze's relationship with every character is special and interesting in its on way! Her bond with Trixie is adorable (let's remember Trixie is the only one who saw her face!!! ), and also her friendship with Chloe has something unique in it! We came so far if we look back at season 1, when Maze wanted to kill Chloe and she was over protective and almost jealous of Lucifer. Maze had and is having an amazing development as a character and I'm always a fan of the process if done in a proper way! The writers here are nailing it! The case was intriguing and unexpectedly interesting! It seemed light and fluffy at the beginning with this handsome con man/killer running around Canada breaking hearts, but it turned dark in a couple of seconds... although there were tons of funny moments like when Maze calls Linda because she needs her Doctors expertise and we've got to hear Linda saying again "I'm not that kind of Doctor" before telling her what to do. Also the button: LOL! - What did you think of 3x03 Mr. & Mrs. Mazikeen Smith? - Any theory on who Tom Welling/Marcus Pierce is? Let me know when you catch up... This season is off to a GOOD start!! !